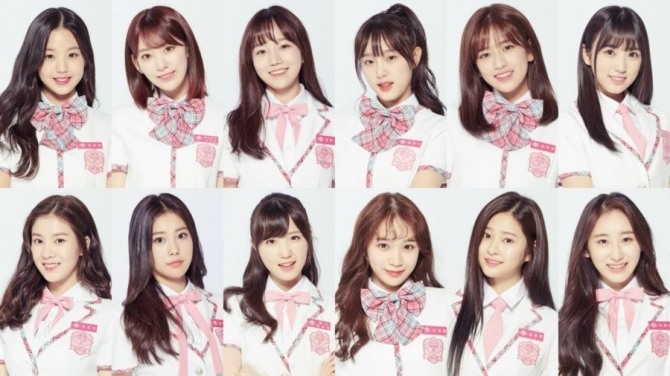 A dozen contestants from Mnet’s popular competition show “Produce 48” will debut as IZ*ONE. 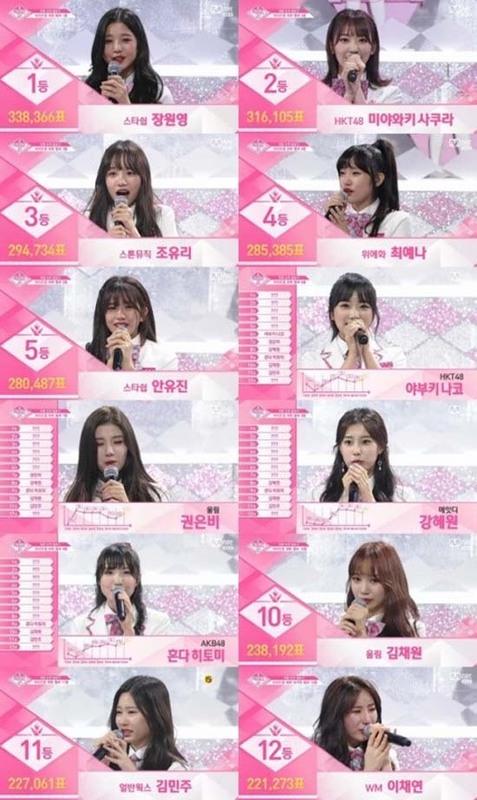 The show featuring K-pop hopefuls and members of the J-pop idol franchise AKB 48 and its sister groups came to an end last week, with the top 12 contestants set to make up the group for 2 1/2 years. Jang, who was one of the youngest trainees on “Produce 48,” came out on top of the show. “Thanks for giving me this great opportunity. I’ll work very hard!” she said. Miyawaki, who is a runner up, was one of the most popular contestants throughout the run of the show. Jo, who appeared to struggle during the early stages of the show, surprised viewers by finishing as one of the top three finalists. Choi has a brother who also used to be a member of an idol group named Speed. In an Instagram post Saturday, her brother Choi Sung-min thanked fans for all the support for her sister. Ahn, who is from Starship Entertainment, the same agency as Jang Won-young, has appeared in a number of music videos and TV commercials. Yabuki, who hails from Japan, is a member of HKT48, a sister group of AKB48. Kwon, who got teary eyed during the final live episode of the show, previously debuted in the girl group Ye-A. In a recent online poll by DC Inside and MyCelebs, Kwon was chosen as the third most promising trainee when it comes to acting and entertainment. Kang, who is also known as “Innocent Rapper,” made it into the top 12 after overcoming the criticism of her vocal skills on the show. Honda debuted as a member of AKB48 in 2014. She is one of the three Japanese members in the project girl group IZ*ONE. Lee, who lacked confidence at the beginning, also surprised viewers. She cried when her name was announced as part of the debut group during the final edition of the show. “Produce 48” was her second attempt at a survival audition program following “Sixteen,” where she failed to secure a spot in the girl group Twice.